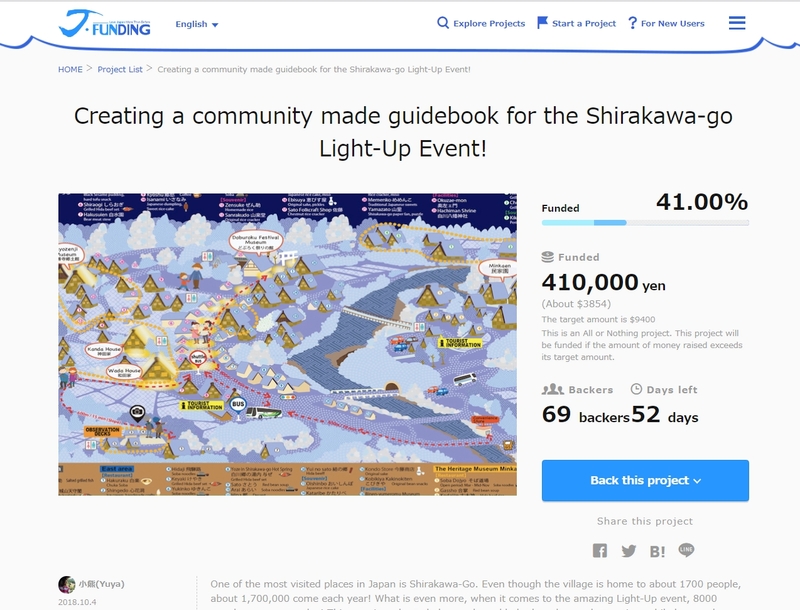 The Shirakawago Light Up Event Guidebook passes 40% in 3 days! We’re happy to announce that the Shirakawa project has reached 41% in just three days of being live! With 52 days left, we’re hoping that this will be one of the most successful projects on our site yet! Thank you to everyone that has helped this project and backed it! We hope that the project will be successful and allow everyone that is going to be able to receive their very own special guidebook! New returns added to the Shirakawago Light Up Guidebook Project!